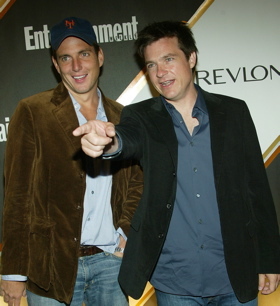 DumbDumb is a comedy enterprise led by Will Arnett and Jason Bateman. The twosome will create commercials along with short and long form programming for distribution across all platforms. For the new endeavor, DumbDumb will utilize web production, development, and marketing expertise from CollegeHumor.com, whose original content creations have been viewed over 800 million times. DumbDumb will create and produce digital content matching not only a brand’s personality and marketing objectives but Arnett and Bateman’s well-known comedic tone as well. They’re not beating around the bush with their intent. These are commercials with solid content, not solid content simply funded by brands. The first video, Prom Date, is up now and well worth your time. It’s an interesting spin on product placement/integration, somewhere between the skewering nature of 30 Rock and the corporate synergy of Extreme Makeover: Home Edition. I’m definitely keeping an eye on DumbDumb. This entry was tagged jason bateman, video, will arnett. Bookmark the permalink.